Congratulations are in order for Ne-Yo and his wife, Crystal Renay! The singer's rep confirms to E! News that the newly married couple has welcomed a healthy baby boy after Renay was forced to undergo an emergency C-section to give birth. She shared an Instagram photo, holding her son's hand and explaining, "It was the scariest delivery ever and I ended up getting a emergency C-section cause of complications but with the help of my amazing doctor @drsherryr and my super calming husband @neyo I was able to get through it all and come out with best reward in the world... SJ!!!!! #BestDayOfMyLife." The baby's nickname, SJ, stands for Prince Shaffer Chimere Smith, Jr.
Ne-Yo—who is already a father to two children—expressed his excitement over welcoming his third child into the world, taking to Instagram earlier this week to share a gorgeous pregnancy photo with Renay, holding her baby bump as they lay in one anothers' arms. His mother, Lorraine, was also very excited, taking to Instagram to share a photo of the new mama and their baby boy. Meanwhile, the couple announced their pregnancy and their engagement in August. Ne-Yo took to Twitter to publicize the big news, writing: "Clearing the air..@mscrystalrenay and I are ENGAGED to be married next year. And yes we are expecting. #FromTheHorsesMouth." They ended up tying the knot in February at a venue in Los Angeles. 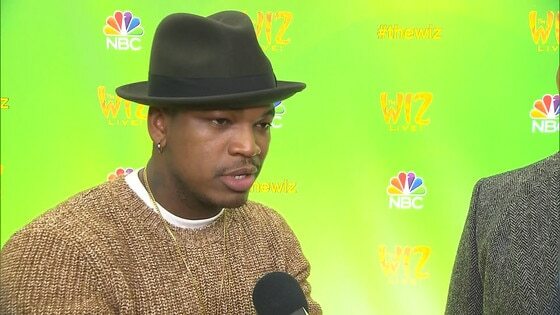 "We can't wait to start our life together," Ne-Yo told People magazine at the time. "We're looking forward to just being each others' best friend."